A Jack-in-the-Green is a conical mound of greenery, with someone inside its wicker frame. 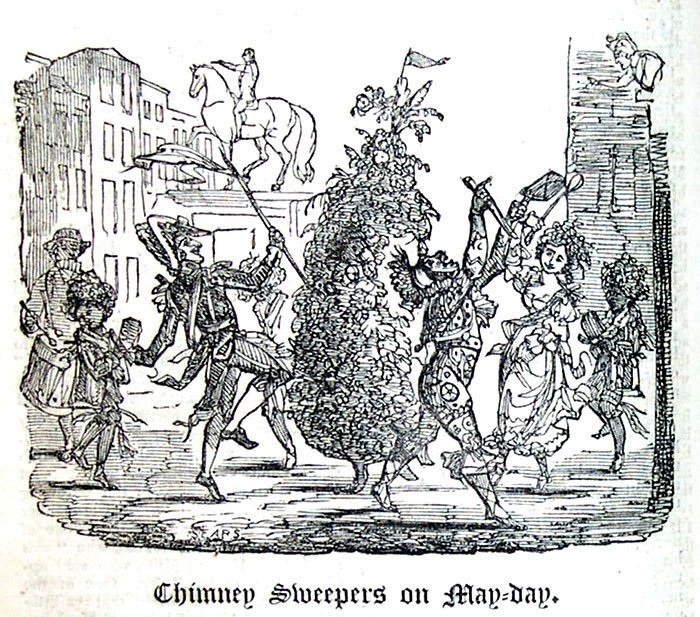 Although the 'Jack' looks weird and can be imagined a primeval feature of May Day celebrations in Britain, research has revealed a different story. 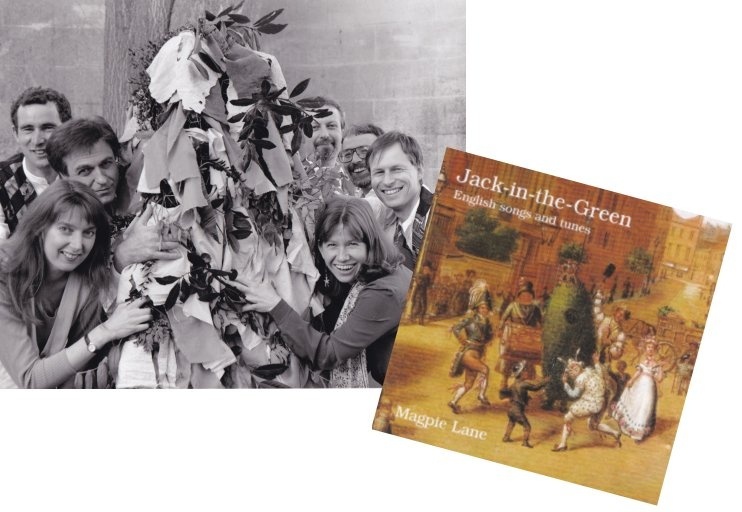 Roy Judge, in his 1979 study The Jack in the Green, a May Day Custom, discovered that there was no traceable evidence of the dancing ‘Jack’ before 1775 at the earliest. He seems to have been invented by London chimney sweeps during the industrial revolution, as a feature of their street parades. They celebrated May Day as a holiday, collecting money to help see themselves through the quiet summer months when people did not need their chimneys swept. From London the custom spread during the early 19th century to chimney sweeps in the South and Midlands of England. Increasingly, the dancing 'Jack' became associated with May Day morris displays though the figure did not originate with the morris. 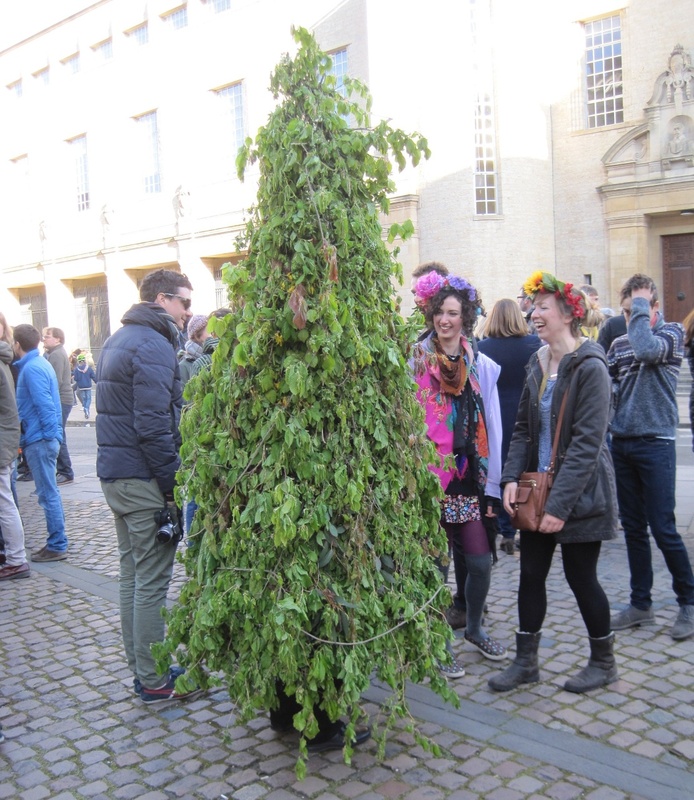 In the city of Oxford, a Jack in the Green was first reported in 1828, and performances went on from time to time until May Day, 1871, when an event was stopped by police on the grounds that it constituted begging. For many years no further reports appeared in the newspapers. In 1886 a 'Jack' was brought to Oxford by the Hathaway family of chimney sweeps. It was photographed by Henry W Taunt, whose premises were on Broad Street, and was written of as 'a very old custom which has not been seen in Oxford for many years'. To the left in the photograph stands a well-known Oxfordshire fiddler and morris man, Bob Potter. Other figures symbolic in morris tradition include include a Lord of Misrule, a Fool with a Bladder and a man with a Collecting Box. This information on the ‘Jack’ in Oxfordshire owes much to the research of Keith Chandler whose series of essays on Musicians in 19th Century Southern England includes a detailed biography of fiddler Bob Potter. For the Taunt photograph and more about the Jack-in-the-Green party of 1886, see www.mustrad.org.uk/articles/potter.htm. 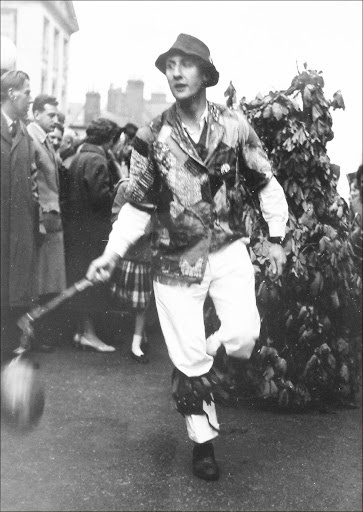 In 1951, a Jack-in-the-Green was introduced to May Morning displays by the Oxford University Morris Men. They were unaware that a 'Jack' had been a common feature of May Morning festivities in 19th-century Oxford. 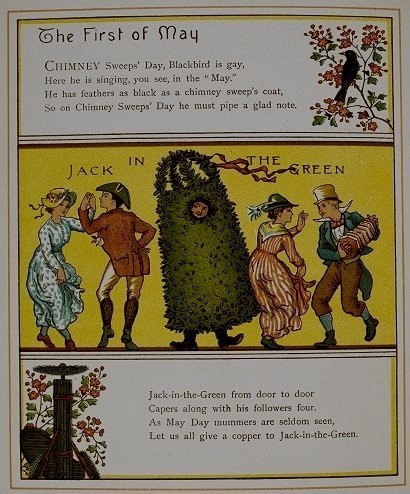 Jack-in-the-Green, from Felix Leigh's London Town, 1883. In 1951, a Jack-in-the-Green was introduced to May Morning displays by the Oxford University Morris Men.They were unaware that a 'Jack' had been a common features of May Morning festivities in 19th-century Oxford. Oxford folk band Magpie Lane launched their album Jack-in-the-Green with a Maytime concert at the Holywell Music Room in 1998. A rag 'Jack' featured at the event.